My daughter was very ill with anemia in 2006 at 10 years old and no one seemed to know what was going on. In January of 2007, right after she had turned 11 she was so weak at school that the nurse called for me to pick her up. I called her doctor and he sent us to Brenner’a Childen’s Hospital near our home. After several days of testing, about a week in hospital and a couple pints of blood the doctors told us that she had a form of cancer called GIST or gastrointestinal stromal tumors, very rare in children. On February 15, 2007 she had 1/2 of her stomach and her duodenum removed. We knew we wanted to celebrate this day much like we would a birthday so I tried a few small gifts but wanted something she could have forever. To celebrate her being cancer free we decided to add a pearl to her necklace each year on Feb. 15. This year marked 12 years cancer free! I order a new pearl for my daughter's necklace each year as a cancer free anniversary gift. Hopefully this will go on for a very very long time. Pearls are often correlated with royalty, but it is not just the royal who wear pearls when they are out in public. Anytime Queen Elizabeth steps out in public she is seen wearing pearls in some fashion. She typically wears a three-strand pearl necklace, but is also commonly seen wearing pearls on her clothing, pearl bracelets and everything in between. But, pearls are also worn in the United Kingdom to distinguish oneself for a good cause. In the 1870s, an orphan street sweeper named Henry Croft spent his days collecting money for charitable missions such as orphanages and hospitals. The pearls lined the suit and were sewn in patterns, symbols and words. The pearly costumes were always made up of bright colors. His plan worked and he soon collected more money wearing that pearly outfit. He was soon coined as the Pearly King. Many people in London soon followed his lead and began wearing pearly outfits for a greater cause. These people are known as Pearlies and have committed themselves to raise money for charity. 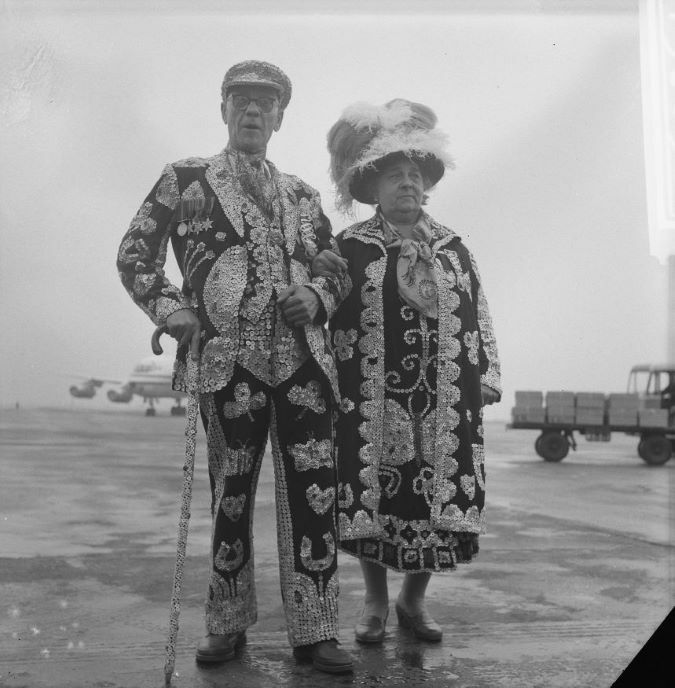 Every person or family who follows the Pearlies lifestyle receives a title, such as Henry Croft, the Pearly King. These titles are passed down through the family for generations. It is also said that many, but not all, pearly families were from the costermonger community, those who sold goods such as fruits out of carts. Pearly kings and queens are still in existence today and are celebrated every September in London at the annual Pearly Kings and Queens Harvest Festival. The Harvest Festival has taken place since pearlies have been in existence. When the event was first started it was a time to celebrate the end of harvest season and celebrate and give thanks for the crops. The festival is typically held on Sunday closest to the harvest moon, or the full moon that is closest to the alumni equinox. Today, the event features traditional English entertainment including maypole dancing, morris dancers and a marching band. The event also includes a parade. Typically attendees donate nonperishable goods and toiletries that are then given to a local charity. So, the next time you are looking to raise money, consider wearing a pearly costume. Not only will you attract people with your unique outfit, but you can share the history of the pearlies with the community. Celebrities are constantly in the public’s eye, and many people consider them the face of fashion. Many celebrities push the fashion envelope, setting trends and even bringing back old trends. In recent months an old trend has resurfaced with much thanks to the rich and famous. If you follow any celebrities on social media or through the press, you have surely noticed that moms are dressing their daughters to match them and posting pictures of their twinning outfits online. Some people are jumping on board with this mommy-and-me trend, and some are put off by it. Let us break it down for you, and then, you decide. Before we can take a stance on how we feel about the mommy-and-me trend, it is important to understand how it started. Mommy-and-me twinning dates back to the 1900s and has gone in and out of style multiple times since. The look was started by French fashion designer Jeanne Lanvin in 1908, according to an article by The Atlantic. Lanvin gave birth to Marguerite in 1897 and realized there was a gap in the fashion market and debuted a high-end children’s line in 1908. Lanvin’s new line used the same materials and styles that were part of her women’s wear, and Marguerite served as her model and mini-me for the new line. The mother-daughter duo were frequently spotted donning matching outfits. In The Atlantic article, fashion historian Jennifer Farley Gordon, who researches children’s clothing, said the trend becomes popular in “time periods when there is more cultural emphasis on the family and the mother-daughter relationship. When the mommy-and-me trend started in 1908, it didn’t last for a very long time, as The Great Depression sidetracked a lot of luxury industries. According to The Atlantic, when The Depression hit, even upscale women could not afford high-end clothing to match their children. Eventually, after the economy rebounded, the trend returned, and women were seen matching their daughters while they did house chores, like cooking and cleaning. In recent months, the trend has made another comeback, but it may look a bit different in the age of social media. Today, celebrities have been taking to Instagram to post photographs of their and their daughters’ lookalike outfits. The posts are a hit, as followers are loving the adorable and fashion-forward twinning look sported by female celebrities and their daughters as they pose or partake in a fun activity. While the mommy-and-me trend is popular among celebrities who don high-fashion outfits with their daughters, some think the trend is going too far, calling some of the matching outfits inappropriate or overly elaborate. Kim Kardashian-West has been spotted matching her daughter, North West, on numerous occasions. Kim and North West were seen at a Kanye West concert wearing the same silver sequin dress. Both dresses wereopen-back, and the matching outfit received mixed reviews. On the other side, Beyonce and her daughter, Blue Ivy, love to dress up together. The mother-daughter duo wore the same floral dresses and are seen in a video on Instagram swinging on swings. It was well received. More recently, Kylie Jenner posted a picture with her daughter, Stormi, sporting grey sweatpants and sweatshirt that matched Mom’s. The two were posed kissing and won the hearts of her fans. While this trend has again become popular, it has received much criticism as well. Those who do not like this trend strongly believe the age gap from Mom to daughter hinders the trend. Some say those with such a big age gap cannot, and should not, be seen wearing the same clothing, as it is difficult for both parties to look good and be appropriate. Many times the mother may look immature or silly in what may seem like children’s clothing. And on the flip side, some of Mom’s clothing may be too mature and provocative for a child. Others argue wearing matching clothes shows a lack of independence and willingness to branch out and be your own person. Those who like this trend focus on the positive image it conveys. When the trend first started, women who matched their daughters were seen as affluent women who had time to plan outfits, sew outfits or afford high-end fashion. But, aside from that, and more importantly, those who support this trend believe it represents a strong bond and relationship between a mother and her daughter. Wearing matching outfits shows that a mother is invested in her child’s life and interests. The two take time plan an outfit and each person involved gets to enjoy dressing up and being together. No matter how you feel about the trend, there is no denying that it results in a mother and daughter being together and bonding. Pearls are timeless and can be worn at any age. Complete a look using a pearl and pass the pearls down from mother to daughter throughout many generations. Although they may look a lot alike and both are white metals, white gold and silver are two different types of metals. 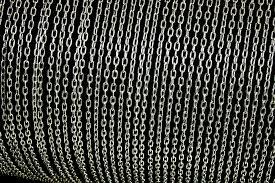 Each metal has its own benefits and drawbacks. Halloween is lurking around the corner, and odds are you will take the kids trick or treating or will be heading to a costume party — or both! Whatever category you fall into, we can agree Halloween prep gets expensive fast, especially the costume part. For something you will wear once for entertainment, spending more than $100 is not ideal. There’s an easy solution: Don’t let money be the dictator on how elaborate and well executed your costume is. 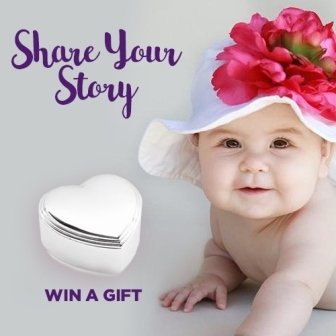 Share Your Add-A-Pearl Story Win a gift! Do you have a story to share about your Add-A-Pearl necklace? Has your necklace been passed down through several generations or has it been lost and found again after many years. Was it given to you for a unique occasion? If so, we’d love to hear from you! 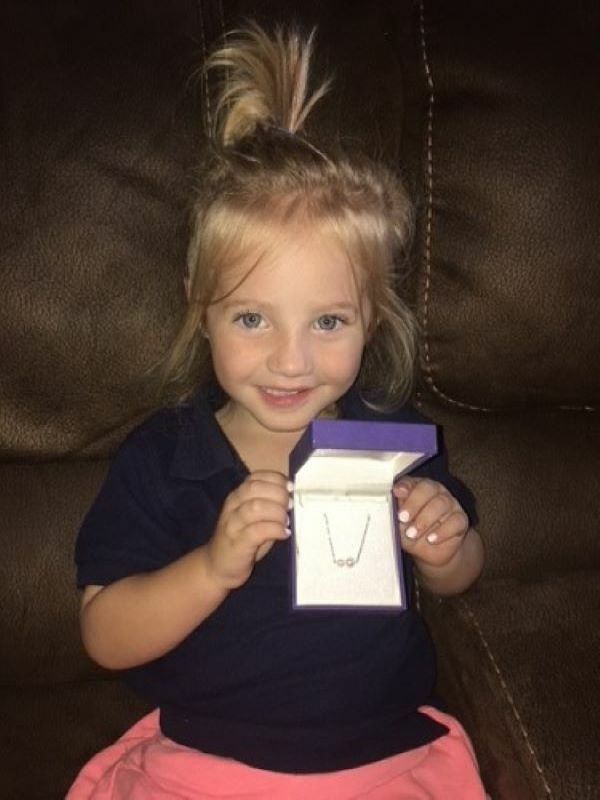 Send us your story along with a picture of you or your sweet girl wearing your Add-A-Pearl necklace to inquiry@addapearl.com for a chance to be featured on our website. We’ll be selecting one story a month to win a special silver-plated heart shaped keepsake box with your choice of a personal message custom engraved on the lid! We look forward to hearing from you! Pearls have been a much-loved symbol of beauty for centuries. 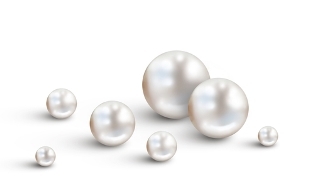 Although there is no universally accepted standardized grading scale, pearls are evaluated based on 7 value factors. The seven factors are size, shape, color, luster, surface quality, nacre quality, and matching. Each factor is important by itself, but it’s their relationship to each other that determines a pearl’s value. 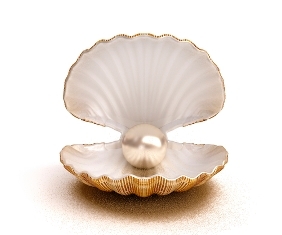 Of the seven value factors, luster is considered the most significant because it is what gives a pearl its unique beauty. Once upon a time, Pierre Cartier had a pearl necklace. It took him years to assemble all the big beautiful Oriental Natural pearls. This was long before the time of cultured pearls. Daisy Plant wanted the necklace. Although, her husband was very rich, she couldn’t afford to spend $1.5 million, which is what Mr. Cartier wanted. Saltwater or Freshwater Cultured Pearls: What's the Difference? There are two main categories of cultured pearls: saltwater cultured pearls and freshwater cultured pearls. When shopping for pearls, it is important to understand the differences since saltwater and freshwater pearls vary greatly in price and luster.